Article ideas come to me in many different ways. It must have been sometime in 2002. Not a fan of blind dates, but I trusted my dear friend Jeff to set me up with a guy he deemed suitable for me. So I found myself on a date with an architect. An avid diver, my date spoke with much enthusiasm for an island called Malapascua (translates to: Bad Christmas). 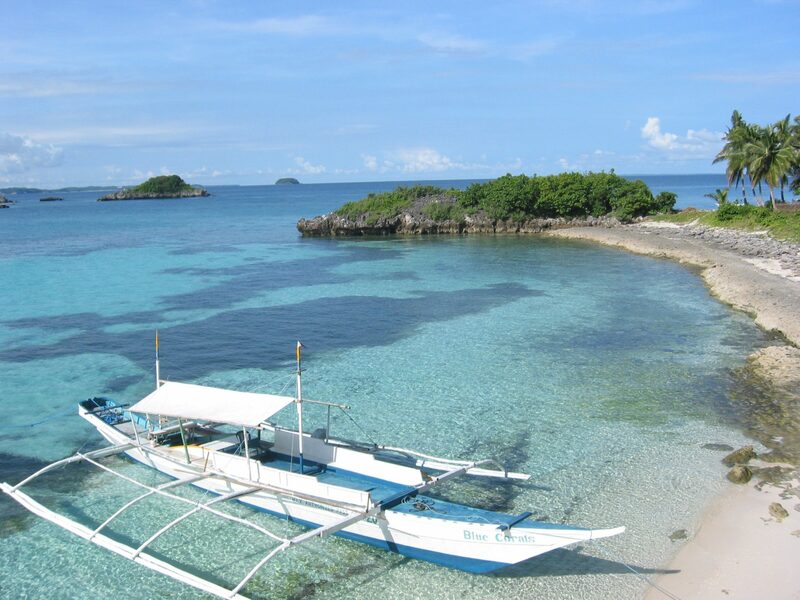 He raved about this island in the Philippines, ideal for spotting Thresher Sharks. He explained Thresher sharks are difficult to spot. They are characterized to have tails, equal in length to their bodies. From Manila, I flew to Cebu. I then took a 3-hour car ride to the port, the jump-off point for the 30-minute boat ride to Malapascua. 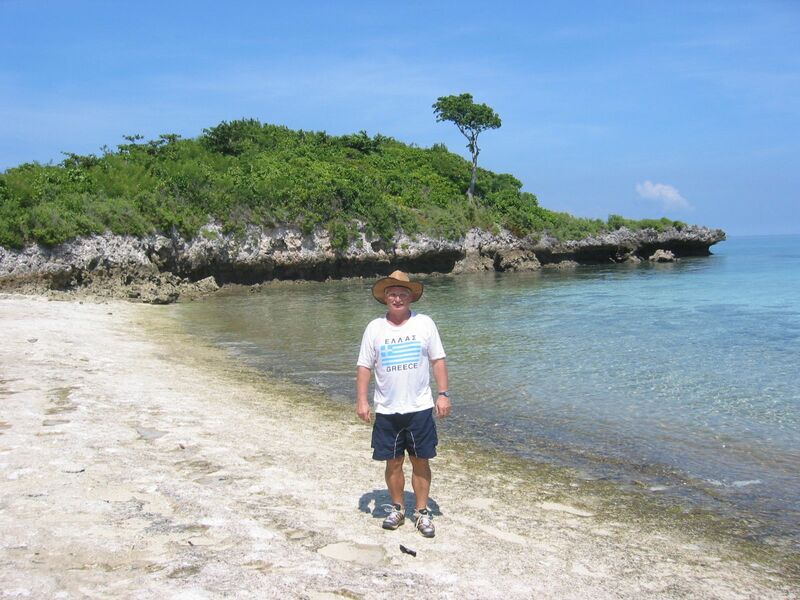 In Malapascua, my date’s friend Gary Cases was my contact person. Gary is a spunky Filipino dive instructor of Divelink Cebu. Being one of the first dive instructors to set up shop in Malapascua, he knew the island like the back of his hand. But he was most at home in its waters, giving him the edge in spotting the famed sharks. With my backpack and cameras as companions, I embraced this solo adventure. My marching orders were to find out all there is to know about the island from where to stay, where to eat, and what to do. It didn’t matter that I didn’t dive. This ruthless travel writer was determined to get it done. For days, I circled the island by foot. On other occasions, I took a habal-habal. It is basically riding in tandem on a motorcycle, holding on to the driver for dear life. It was all a bit too intimate to be that close to a stranger, especially in an island still awaiting paved roads then. But duty calls and there was no time to squeamish. At this point in my career, I had been writing for five years for travel, food, and lifestyle magazines. I had written many scripts for a TV cable channel. In the past, I would have a photographer with me, or a TV crew. But for this assignment, I it was just me, all alone. Malapascua turned out to be beautiful. It had crystal clear waters. The sand was not as powdery soft and fine as Boracay’s. 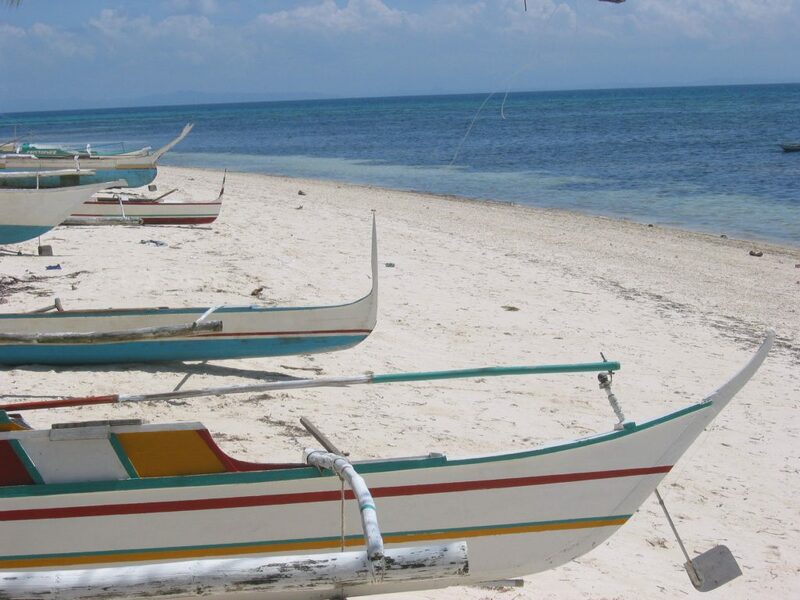 But it also didn’t have Boracay’s pesky vendors offering massages, boat rides, hair braids, or sunglasses. The everyday life of locals was not dominated by tourism. Basically the island still belonged to the locals, with a sprinkling of tourists and divers who enjoying what the island had to offer. Gary connected me with his friend Josephine Macazo, a quirky lady looking after one of the island’s largest resort, Mangrove Oriental Resort. 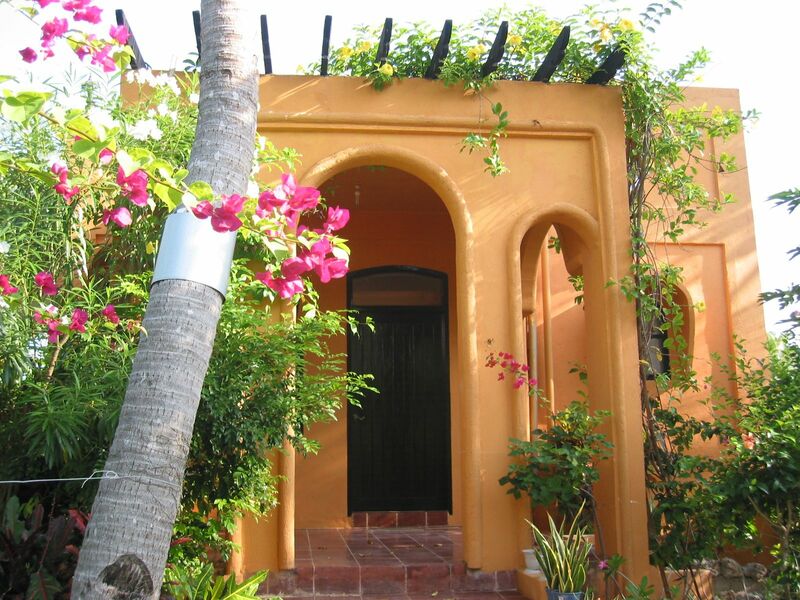 The resort is a long walk or a short tricycle ride from the beach front, hidden amidst the mangroves. I was given a hut by the mangroves. The owner and daughter of Josephine is a flight attendant, based abroad. The villas were inspired by her travels. 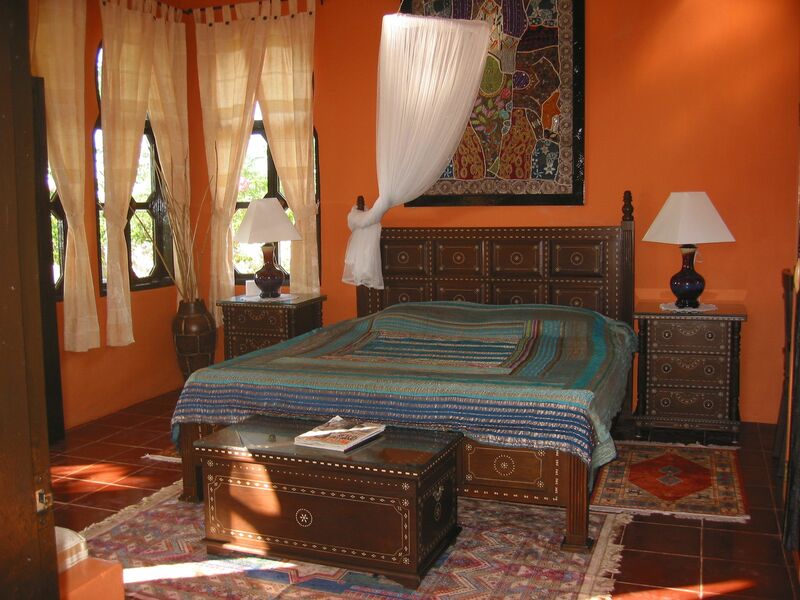 Imagine terracotta painted villas, inspired by her travels to Morocco. Apart from looking after the resort, Josephine indulged in her own little creative projects. On the day I arrived she was busy making suman, sticky rice steamed in banana leaves. It is a popular Filipino snack. She asked me to join her for snack later in the day. It was lean season and there were no other guests in the resort. Malapascua was virtually unheard of then, except for a sprinkling of a few divers and Europeans on winter holiday. “You have to be a crazy woman to choose to live all alone in a place like this,” I thought to myself. During the day, I explored the island. I met with Freddy, a Swiss man who owned one of the resorts. He showed me his favorite spot in the island. To get to this secret remote spot, I took one of those habal-habal rides, holding on to the driver for dear life as he negotiated steep terrain, dressed in my swimsuit and a sarong cover up. The driver asked me in broken English, “Are you Korean?” I answered, “Pilipino ako! (I am Filipino).” He was shocked, for few Filipina women then would travel all alone exploring a remote island like this one. My days were spent mostly walking on the beach and talking to people. After Gary’s dives, he would sit outside his dive shop with a bottle of San Miguel beer. Sitting on tree stomps, there we would talk about the island, life, and any thing under the sun. At night, we would mingle with other tourists and locals. We would try the newest restaurants. There weren’t many. At that time, it was an Italian restaurant run by an Italian couple, who fell madly in love with the island. My favorite moment was cocktails at the floating bar at sunset. You had to take a small rowboat or swim to buy your drink. 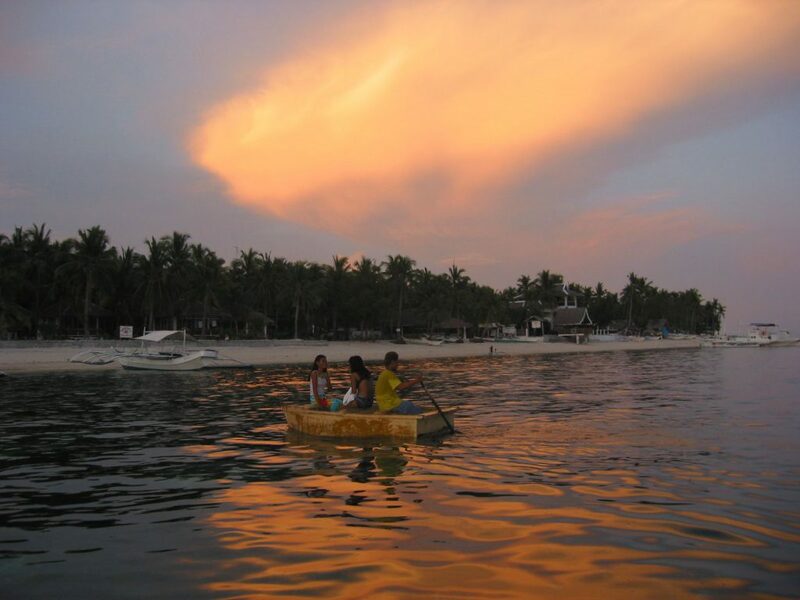 And as I chose between a margarita or an iced cold San Miguel Beer, Malapascua dazzled me with the most stunning sunset I had seen in my life: deep orange and purple hues splashed all over the sky with a deep orange sun bidding goodbye for the night. On my last day in the island, for the nth time I took a long walk by the beach. By then I had become accustomed to the peaceful coastline. There were only a few boats docking once in a while as the handful of divers returned back from their underwater excursion. In the deserted beach, there were two kids swimming. They sat in the cool waters, refreshed. I asked if I could take their photo. They happily obliged. They were siblings. The brother leaned his head on his sister’s shoulder. They had no swimsuits, just everyday shirts and shorts. But they both had a lovely tan. Until today, I still love that photo. Simple, serene,and so much happiness! Bliss found in Malapascua, an island in Cebu, Philippines. I left Malapascua with all the facts I needed for Holiday Asia Magazine article and gorgeous photos to accompany the story. I filed the article to my editor reporting that I had found the Thinking Man’s Boracay. Don’t come here if you want to party, or need a plethora of restaurants, bars, and resorts to choose from for your holiday. It is a peaceful island where you can find secluded beaches for your personal enjoyment. Bring a book or two, as you will definitely have much time to curl up with the words of your favorite authors. Still Malapascua is no Boracay. More than a decade since I wrote that article, it never became half or even a quarter the popularity of Boracay. But in my heart, Malapascua will always be a special paradise. Amidst its beauty, I found my calling. I found my bliss. In its raw setting, I came face-to-face with my fears. In boldly taking this journey alone, I also found my home in this great big world. I left Malapascua with a caramel tan and now held a compass to my life.The article became the cover story for the magazine. Many trips all over the world and countless published articles later, writing still this remains my life’s work. I have also stopped searching for the next Boracay. Instead, I’ve learned to find the unique beauty each destination has to offer. Thanks for reading! Stay hungry and keep feeding your restless appetites!